Arranging furniture can be a daunting task. When you’re faced with an empty room knowing how to fill it can seem overwhelming. 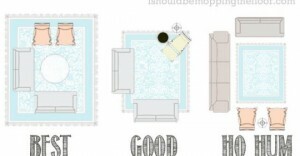 But all you need to do is follow these common sense rules and you’ll find that arranging furniture isn’t so scary after all. Never underestimate the power of a focal point. Sometimes they appear naturally as windows or built-in mantels, while other times you create them yourself, as with media units and televisions. Whatever your focal point is, make a decision and stick with it. You’ll need to arrange the furniture around it. The size of the room will dictate how far you can pull your furniture away from the walls, but even in a small room you’ll want to allow a few inches between the backs of furniture pieces and the walls. It allows for breathing room and can make the room look a bit bigger. Of course if you have a larger space feel free to arrange seating areas in the middle of the room leaving several feet between the walls and the furniture. People should naturally be able to talk to each other without having to crane their necks or shout across the room. 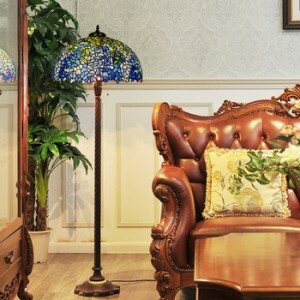 You want the sofas and chairs to face each other (not necessarily straight on, but close), and they should be close enough that you can have a natural conversation with the person seated across from you without having to raise your voice. 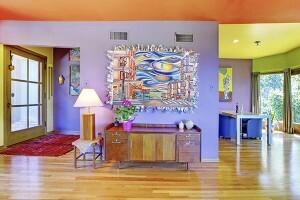 If the room is too large, create multiple conversation areas. Balance is always important in decorating and when it comes to arranging furniture in your living room you’ll want to consider both size and placement of the various pieces. 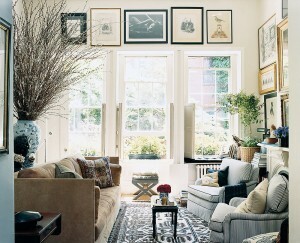 Don’t group all the large or small pieces in one area of the room. Also make sure there’s variety in the shapes. 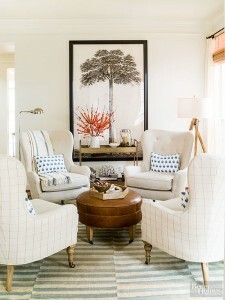 If you’ve got straight-lined seating consider a round coffee table – or vice versa. People should not be tripping over furniture, or each other, to pass through the room. Make sure there are a couple feet (give or take a few inches) between the coffee table and sofa, and between chairs. Area rugs belong under the furniture – all the furniture. Exposing some flooring around the edges of the room is fine, but when using an area rug you want to make sure it’s big enough that all the furniture in a seating arrangement can sit on it. At the very least you want the front legs of large pieces to sit on the rug (the backs can be on the floor if it’s absolutely necessary). When it comes to coffee tables bigger is better. 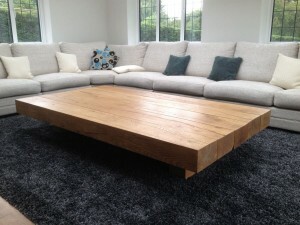 A large coffee table in the middle of a seating area is great for both aesthetics and function. It acts like an anchor for the room and it leaves plenty of space for people to put down drinks or to display favored accessories. It’s also easier to access from all the seats around it. 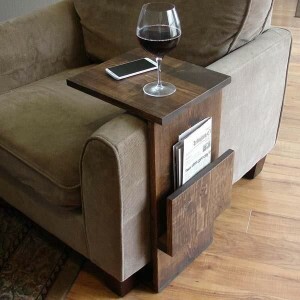 That said, make sure to leave enough room between seating and the coffee table for people to pass through. And if you can’t find a suitable large coffee table, two smaller tables can be a good substitute. When it comes to arranging furniture it’s best to plan ahead. Either use an online floor planner or old-fashioned graph paper to sketch out your desired floor plan. 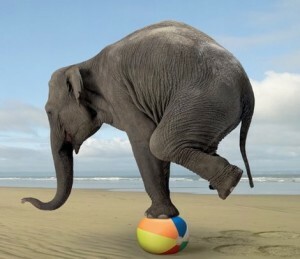 It’s the only surefire way to know whether or not things will fit the way you want.